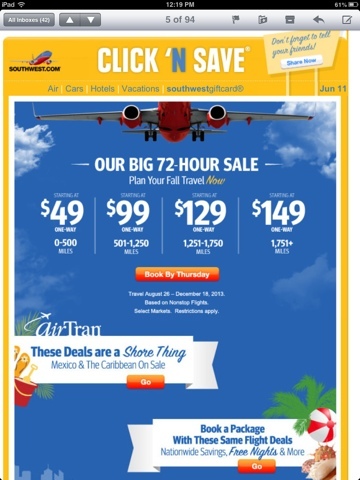 Southwest is currently running a 72hr sale which offers distance based fares on select routes. routes under 500 miles start at just 49$ each way. Book by Thursday, June 13 for travel from August 26 - December 18, 2013. Details can be found here.